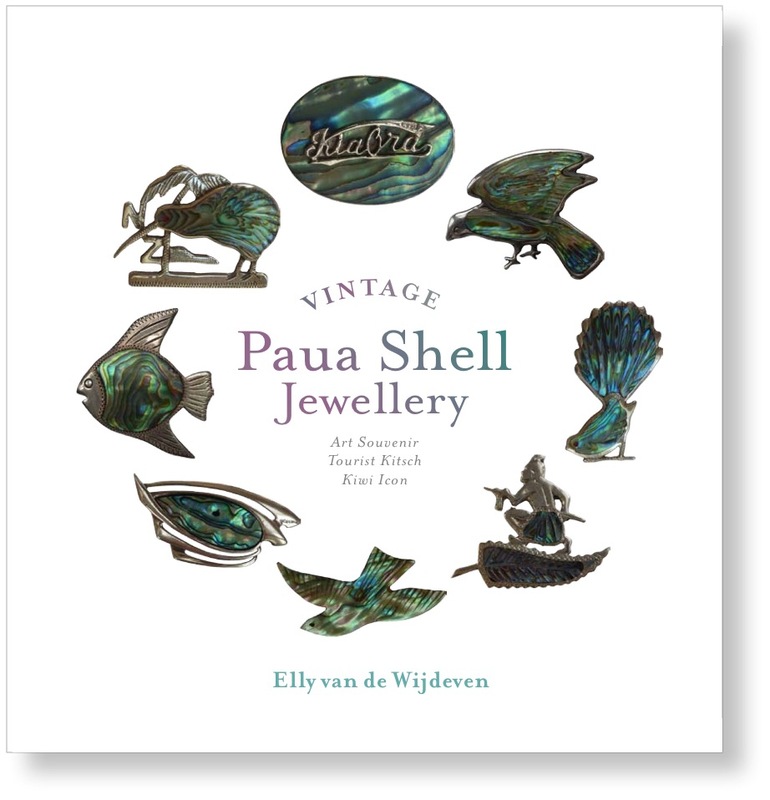 The story of paua shell jewellery, from art souvenir and tourist kitsch to highly collectible Kiwi icon. All vintage jewellery is collectible and none more so than that made from paua shell. No longer regarded as the tourist kitsch of yesteryear, the book explores this fascinating history and shares the many stories of how and why it came to be produced and by whom, and also who bought it and for what reason, whether as a souvenir of New Zealand or to commemorate a special place or event. The beauty of numerous pieces of paua shell jewellery is showcased in nearly 400 photographs. The accompanying narrative traces its roots from the Classic pre-European Maori period, through the years of its main production in New Zealand from the 1920s to the 1980s, before the market was flooded by mass-produced imports, to its present status as Kiwi icon. An accompanying e-book, New Zealand Paua Shell Jewellery: A Cultural History, which gives a more detailed account of this story is also available. Elly van de Wijdeven lives in Auckland. She is an academic and researcher in the field of material culture, and along with her interest in paua shell jewellery, she writes and speaks on New Zealand textiles.